The ReelGood Podcast | Tony Scott & Quentin Tarantino's True Romance. Zoe is leaving. We don’t know how long she’ll be gone. Maybe a long time. Derek suggested we do a podcast episode on Zoe’s favourite film to mark the occasion. The other said yes. And that’s the story of how your loyal servants over at The ReelGood Podcast ended up doing a podcast on Tony Scott’s True Romance and took a step back in their bid for diversity. It’s back to all guys until Zoe decides that there’s no place like home or we find another female willing to talk to Derek, Blake and John about films every now and then. 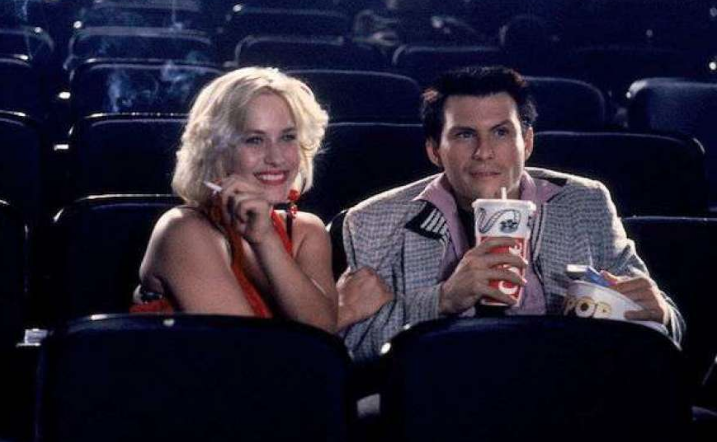 The consensus is that True Romance is a good film, but then, you don’t need us to tell you that. It’s just something that everybody knows. What you don’t know is why it’s Zoe’s favourite film, and why Derek has enjoyed it more every time he’s watched it and which scene Blakey likes in particular and whatever John might have contributed, if anything, throughout the episode. It’s True Romance, folks. Who doesn’t want to talk about or listen to people talk about True Romance? The answer to that question is probably nobody so sit back, relax and enjoy the latest episode of The ReelGood Podcast.